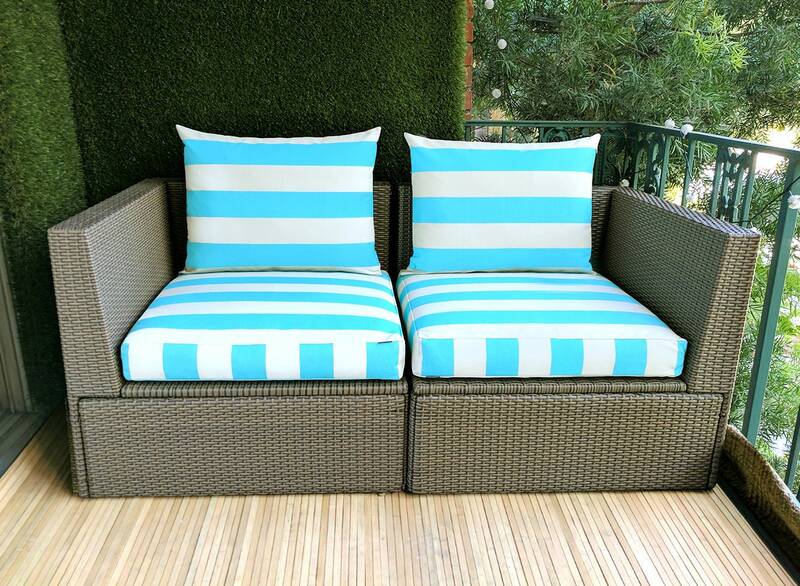 Beautiful slipcover for your IKEA ARHOLMA outdoor seating, in turquoise blue and beige cabana stripe (Ocean Beech)! 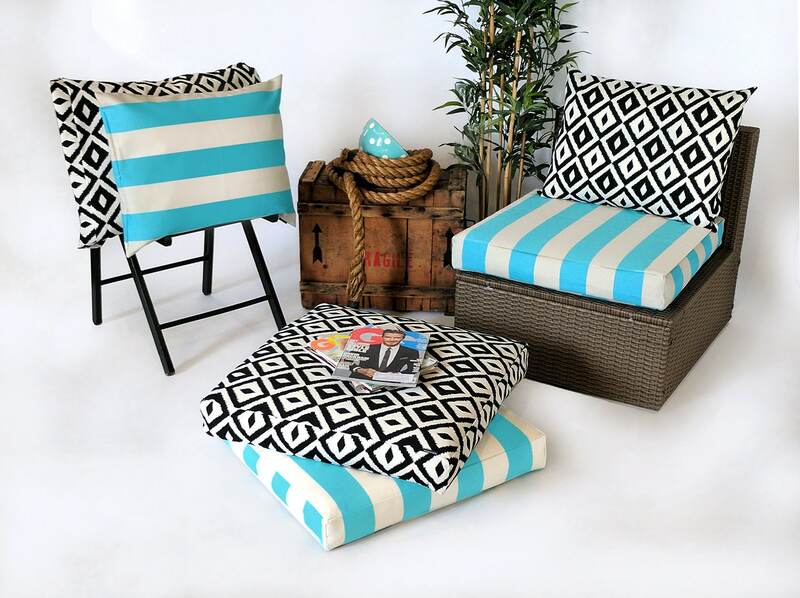 Simply slip these over your existing HALLO, KUNGSHOLMEN, FROSON / DUVHOLMEN, HALLO, ARHOLMA, HAVSTEN cushions for a whole new look. 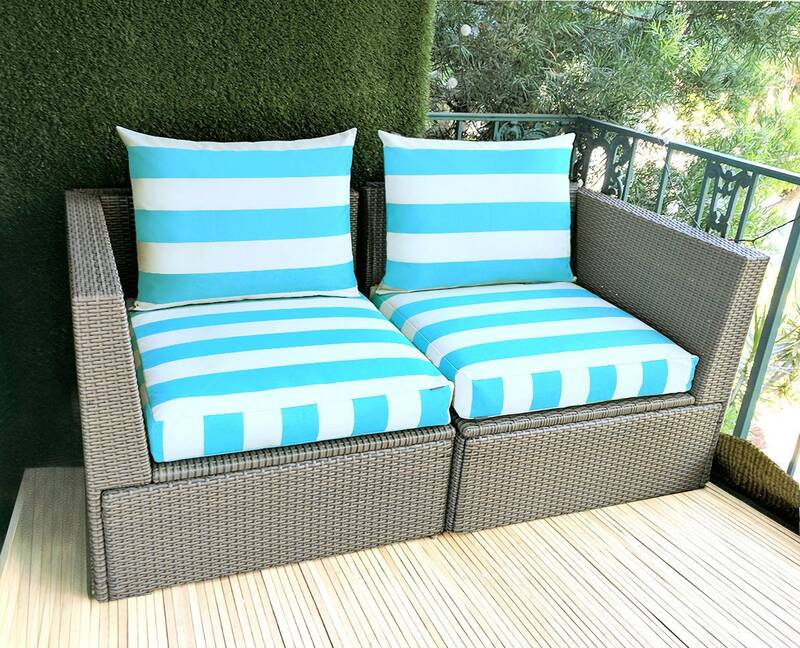 This listing does not include cushions or chair frames. 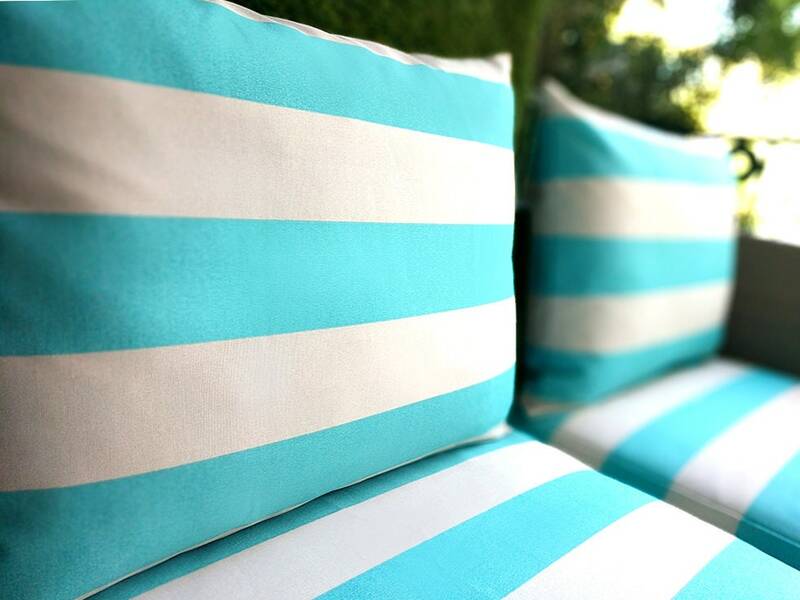 These fabrics withstand direct sunlight for up to 1000 hours making them both durable and versatile, perfect for outdoor settings and indoor living in sunny rooms. 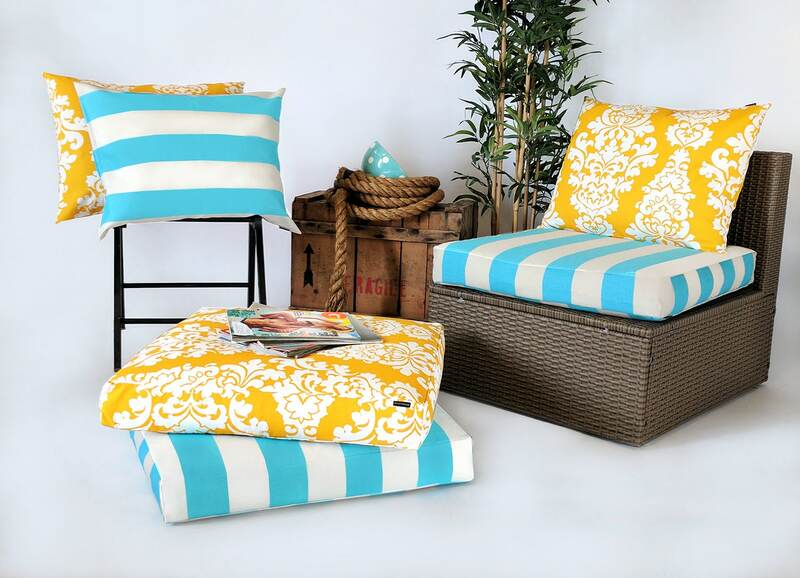 To maintain the life of the fabric bring indoors when not in use. 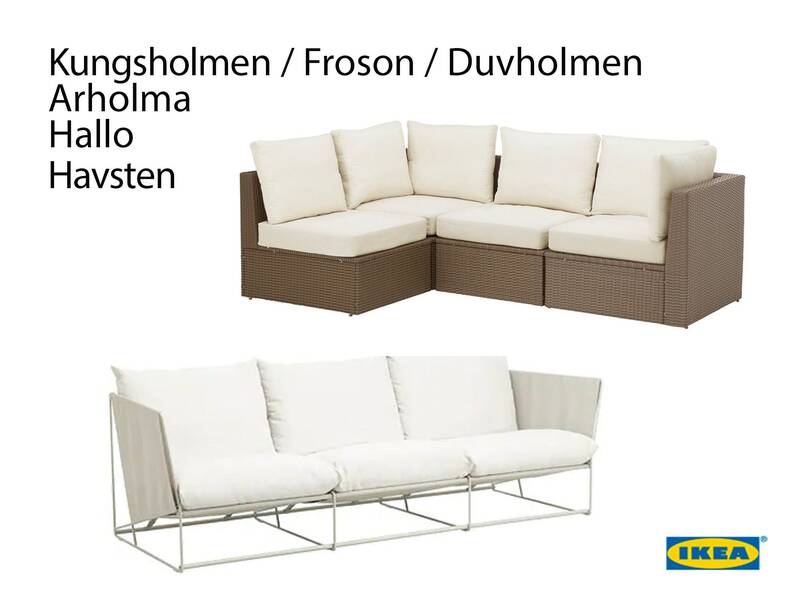 MEASUREMENTS - Covers are made specifically for IKEA cushions. Purchase at your own risk for other brands. 17 x 23 x2 "
25 x 25 x 4 "
24 x 17 x 2 "
24 x 17 x 3"
24 x 24 x 5 "
34 x 22 x 8"
34 x 32 x 8"